A Forbo floor is always beautiful and stylish to look at. A floor that’s comfortable to live, work and play on. But looks aren't everything; often, it’s the things you can’t see that really matter. We believe true sustainability is about creating links of shared responsibilities and values between all stakeholders. 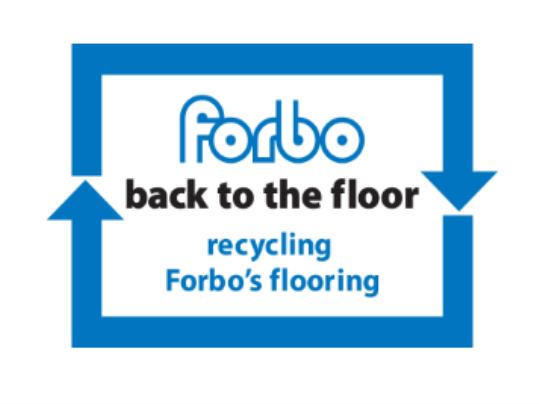 We collect clean installation off-cuts of Forbo products through our ‘Back to the Floor’ programme. 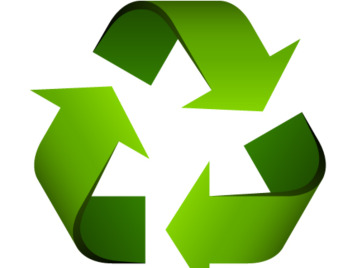 It’s good for us as it provides material to recycle back into our some of our products and it’s good for contractors as it saves money rather than landfilling it. We collect Marmoleum, Eternal, Sarlon and Sphera smooth vinyl, Allura LVT, Novilon cushioned vinyl, Flotex and Tessera carpet tile off-cuts. 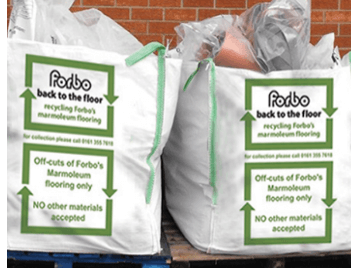 Forbo Flooring has links with a wide network of recycling companies and can bring customers and recyclers together so that uplifted carpet tiles can be recycled or reused. For more details, please contact your local Forbo area sales manager. Our save a sample scheme encourages customers to return samples to us once they have served their purpose. This allows the samples to be re-used or recycled rather than thrown in the bin, and ultimately reduces the amount of material going to landfill. Since the introduction of the ‘Save a Sample’ service in 2010 the scheme’s popularity has been growing steadily each year. The quality of the samples returned is so high that the vast majority of samples (approx. 85%) can be reused so reducing the need to order virgin sample material. If you have samples you would like to return to us, please ring 0800 731 2369 and we can either supply you a pre-paid label (if the weight of the samples is under 5kg) or alternatively, if you have a large amount of samples to return, we can organise a collection of suitably packaged material.